China’s boom restores the country’s former global economic preeminence. Two centuries ago, China's GDP was twice that of India's, the world's second-largest economy at the time. On a per capita basis, China's GDP in 1820 reached 84% of the global average. As recently as 1980, China's per capita GDP was equal to just 24% of the world average. 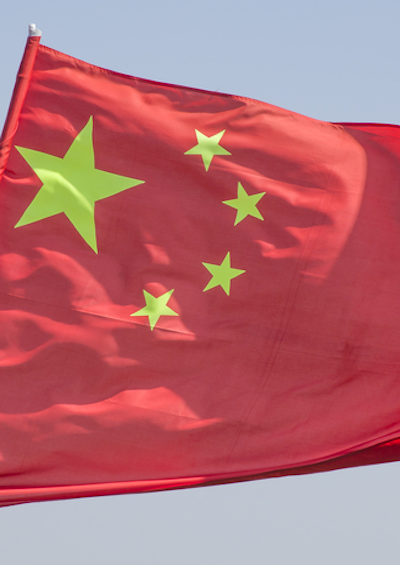 As of October 2014, China has overtaken the US as the world's largest economy. 1. Back in 1820, China was by far the world’s largest economy. 2. Two centuries ago, China’s GDP was twice that of India’s, the world’s second-largest economy at the time. 3. In 1820, China’s economy was six times as large as Britain’s, the largest economy in Europe — and almost 20 times the GDP of the still-fledgling United States. 4. On a per capita basis, China’s GDP in 1820 reached 84% of the global average. 5. By 1870, China’s per capita GDP had fallen by one third — to just 60% of the world average. 6. China’s economic decline in the second half of the 19th century was, in part, the result of the devastation of China’s agricultural lands following the Opium Wars and the Taiping Rebellion. 7. China also lost ground economically in the 19th century as Western nations grew wealthier from the Industrial Revolution. 8. As recently as 1980, China’s per capita GDP was equal to just 24% of the world average. 9. In the late 1970s, Deng Xiaoping began to implement market-based reforms that would lead to China’s economic modernization. 10. After two decades of rapid economic growth, China’s per capita GDP in 2000 was back up to 56% of the global average, almost where it stood in 1870. 11. After three decades of economic reforms, by 2010 China’s per capita GDP was equal to 103% of the global average. The UpshotIn October 2014, China overtook the United States as the world’s largest economy. Data source: Maddison Project, University of Groningen. Analysis by The Globalist Research Center. Can China Innovate Without Freedom of Information?